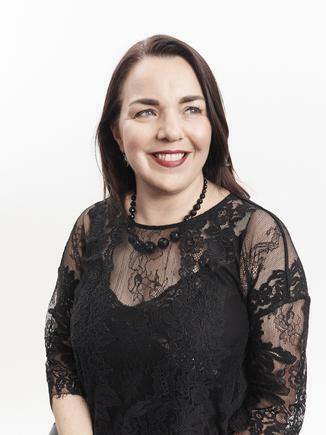 Rejuvenating Mastercard’s ‘Priceless’ program locally, uniting marketing and communications and fostering highly localised experiences are just some of the ways the card company’s Australian marketing chief says she’s getting to put her stamp on the brand. Eighteen months into her stint as local marketing chief for Mastercard, Pike is currently in the midst of her biggest integrated campaign activation yet around the Australian Open. Prior to this, she was the CMO of Salmat. The ‘make a grand slam a happy slam. Priceless’ activation is part of the brand’s three-year partnership with Tennis Australia, which kicked off in 2017. This year, the significant and multi-million dollar integrated campaign incorporates onsite experiential activities, TV and out-of-home advertising, digital and social activities. Things kicked off with an initial tickets promotion program with Ticketek last October aimed at raising brand awareness. 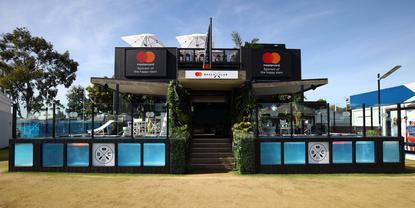 With an emphasis on experiential onsite, Mastercard has built a three-story beach club at the Australian Open, allowing consumers to swim in a wade pool, enjoy live music, meet tennis stars and partake in food and beverages. At time of press, at least 12,000 consumers had visited the pop-up. There are also screens to encourage consumers to learn about payment options available to Mastercard cardholders, and an Australian Open fanbot covering player profiles, match information and tennis trivia. Cardholders then have the opportunity to secure Priceless rewards such as ticket upgrades, merchandise and event extras. Speaking to CMO, Pike said the campaign is reflective of her efforts to rejuvenate the Priceless message in Australia, the brand’s most important brand asset. The insight ‘Priceless’ is founded - that experiences matter more than things – is an insight arguably more relevant today than it was when it first launched, Pike continued. The Priceless platform encompasses four key pillars: Cities, surprises, causes and specials, all of which are delivered through participatory experiences. While there are global brand guidelines to adhere to, Pike said Mastercard as a global business has shown great flexibility in how things are done in-market. “Mastercard has a real focus on doing what’s right for local market and consumers and we have frank and open decisions with management and our global counterparts,” she said. “All the way through to the CMO, the company recognises campaigns have to be relevant to local market and local consumers to be successful. That’s from creative to media channels, partnerships, and way we activate experientially. In the case of the Australian Open campaign, for example, everything ties into celebrating the Australian way of life, Pike said. “We also do that with our activity with Cricket Australia. We’re blessed to have a global brand platform, but one we can make relevant to Australian consumers,” she said. In addition, Mastercard has several global agency agreements the local team is utilising, such as its longstanding partnership with media agency, McCann. It was McCann that came up with the original ‘Priceless’ platform. “Rather than be a challenge, we find this to be a find great source of help and support with both our agency network and internally,” Pike commented. “When we were building the campaign plans for both the Australian Open and the cricket, we had support from New York and the woman who came up with the ‘Priceless’ idea 21 years ago. It’s great to have that interaction and it’s helpful for us as a team, particularly when attracting and engaging talent. They feel they have ownership and can put their own spin on things. With a very small team in Australia, Pike said relying very heavily on agency partners and working as a virtual team has also helped ensure initiatives are consistent. “That’s how we truly drive integration: It’s not a group working on social and digital, and another on media, and one more on broadcast, it’s tightly integrated,” she said. A key priority for Pike in the last 18 months has been forging a number of partnerships. These include with Tennis Australia, signed in October 2016; Cricket Australia, signed in 2017; and Ticketek, signed just before Christmas. “These wonderful platforms enable us to drive scale and engagement with consumers,” she said. Building stronger ties with partners such as rights holders, Tennis Australia and Cricket Australia, has been another key focus. “Both have let us push boundaries with campaign activations, and put a lot of trust and faith in us,” Pike said. A third priority for Pike has been integrating marketing and communications. As a result, Pike said she looks for people who can take integrated approach, rather than specialise in digital, social or TV. Today’s marketing role is all about pushing boundaries as well, Pike said. “It’s about turning a no to a yes. With our build at the Australian Open, there were times we were being told no, but we kept our focus, kept talking and that’s enabled us to get there and do work that stands out,” she said. “It takes time to see the impact from a brand awareness perspective. Yet over the last 12 months, we’ve seen that impact. Our brand awareness has improved by 60 per cent, and our spontaneous consideration has improved by 20 per cent. Those are statistics that have been sustained.